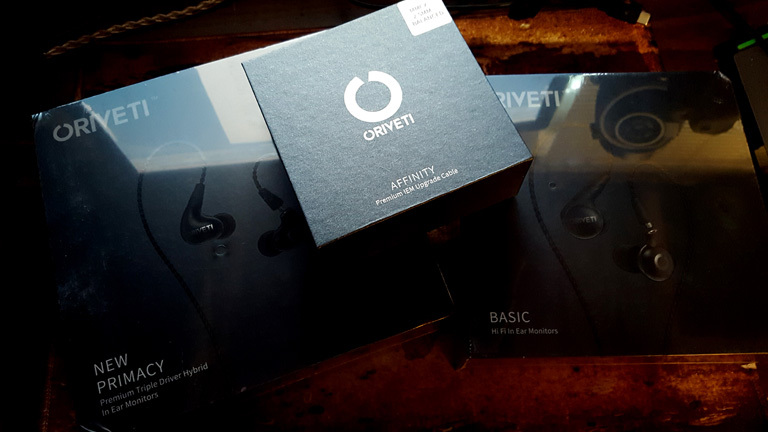 Oriveti provided the New Primacy, Affinity, and Basic, free of charge for the purpose of my honest review, for good or ill. The New Primacy sells for $299, Affinity for $199, and Basic for $99. 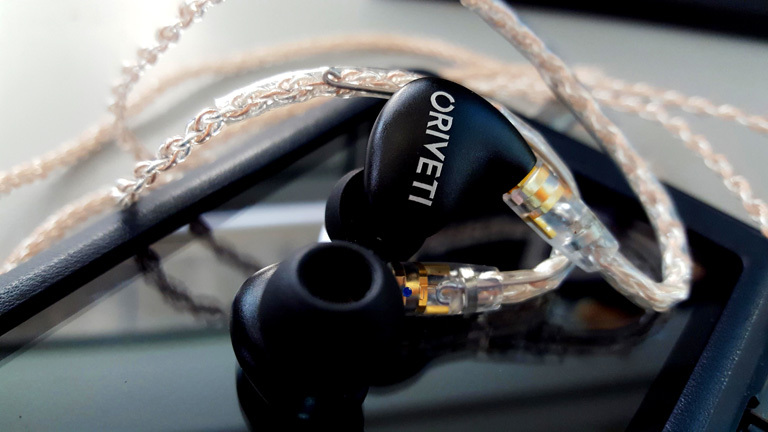 I contacted Oriveti with interest in their New Primacy IEM and the Affinity upgrade cable. I had heard delicious things, and needed to know for myself. They are a very friendly company and sent them out right away. When the package arrived, I saw they threw in a bonus, for good measure. The Oriveti Basic! So now I’ll try and weave all these products into some kind of ramshackle ensemble of Oriveti’s entire line. 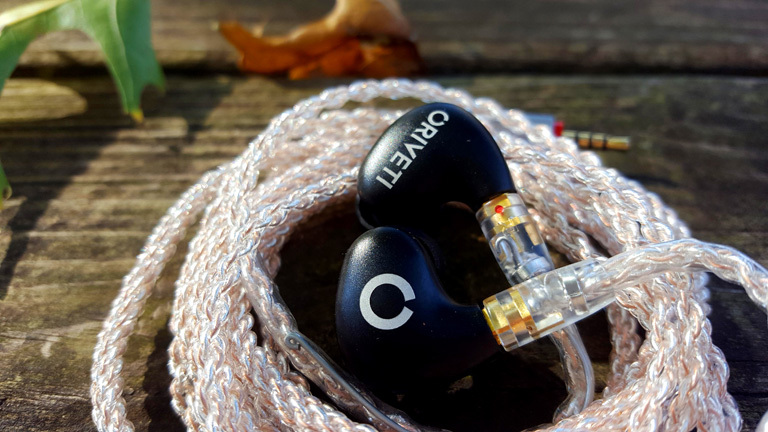 Both Basic and New Primacy are small, wonderfully light and comfortable IEMs. NP is a little larger than Basic, but not so much as to diminish its ease of use. They are shaped in such a way that you can insert deep, or shallow, depending on the size of tips you choose… and I guess the shape of your ears. 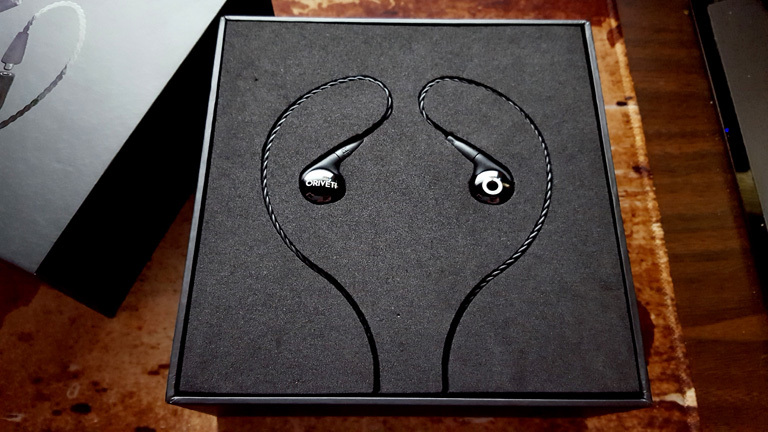 I have rather average size ears, and I can wear these IEMs however I desire. I find my pleasure going as deep as possible. ho ho! Supposedly you can also wear these with the cable hanging down, or wrapped over the ear. I haven’t tried the hanging method, because Over the Ear is the path to righteousness. However, Basic does seem to be built in such a way where that should work well. NP, on the other hand, may pose some difficulty, and the Affinity cable is 100% made for over the ear. Basic, as best I can tell, is a single Dynamic Driver IEM. New Primacy is a hybrid, with one Dynamic for the lows, one Balanced Armature for the mids, and another for the highs. Three drivers in total for Oriveti’s flagship. Basic and NP are sturdily built, encased in metal shells and robust connectors. They both have detachable cables, as well. Basic’s cable is very light and forgettable. Just the way I’d want it for such an IEM. NP’s is rather remarkable for a stock cable. Looks to be an eight conductor braid, which is light, supple, and highly ergonomic. I’m a big fan of this, actually. 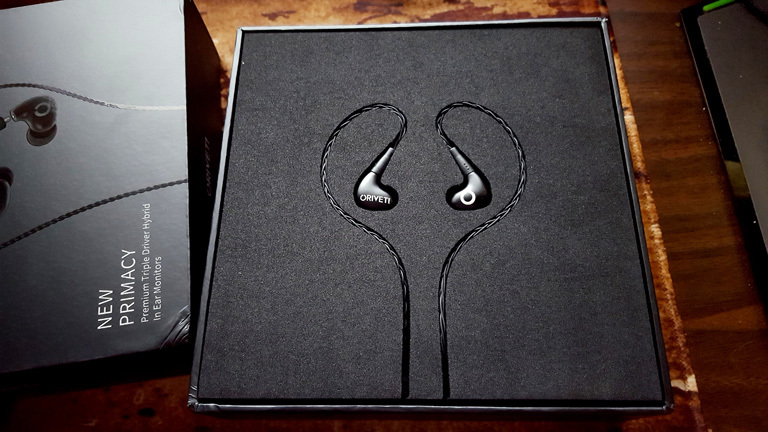 It’s an impressive showing for only a $300 earphone. 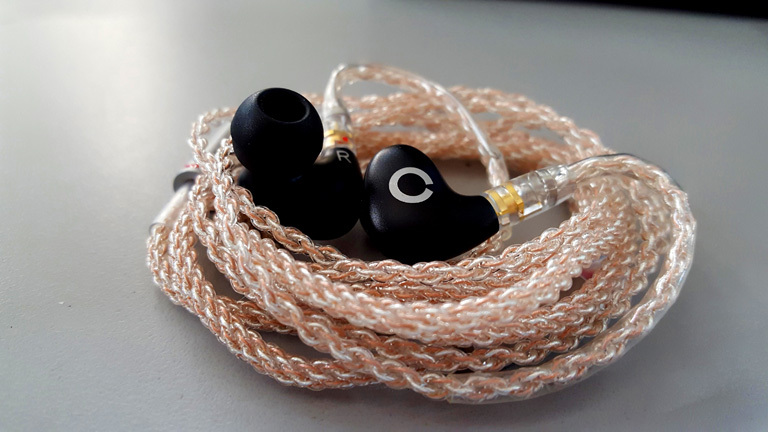 Now the Affinity is also eight conductors, though alternating between 6N OCC copper and silver-plated copper. It’s a thicker and heavier cable. Certainly one you want to use a lapel clip with. It’s fairly pliable and doesn’t seem to transmit vibrations. I asked for it to be terminated in 2.5mm TRRS so I could use the balanced outputs on those DAPs which have such a feature. It reminds me a lot of the ALO Reference8. Indeed its specs are awfully similar. Whereas the Ref8 is lighter and thinner, it’s also stiffer and more microphonic. Affinity is thicker and heavier, but softer, and suffers from no real microphonics. All in all, I find it comfortable and a solid product. Wow i am so disappointed with these, the mids are over the top & the highs are harsh to put it mildly, turn up the volume & all control is lost with just a crackly mush of painful noise, wow i wont be going off your reviews again. The 1 more triple drivers are less than ½ the price but way more than twise the sound quality. I’m glad you found something that suits your tastes better. But I cannot agree with your description of the New Primacy. Hi! Please note that I am not on anyones side. His review is great especially co-relating it with other reviewers not only here at THL. Please consider the fact that we do not have the same ears as they do, if you find any disappointments, frustration or whatnot, I suggest to just keep it in to you as they do have a different measurement on how things work. If the 1 more triple river works for you, then stick on to it and stay happy with it. Your opinion might be different to others, just my 0.2 cents hehe, no offense intended. Hi pinky! Somehow the oriveti new primacy is a bit harsh in terms of treble but Im using its stock cable. Would it smooth out everything if I change the cable? Also I was able to listen to Qdc 4ss 5sl and 8ss 8sl and gemini,even the new product of ee the merlin collaboration of EA and EE. Same tuning with the spartans but they are somehow bright for me with 40 to 50% price increase. With the adel, will this flat out everything? At the moment Im leaning on the 4ss that has smooth overall presentation with nice detail retreival, big amount of staging depth and width with tight presentation for reference tuning, it is so accurate and polite and will put you to sleep wearing them at night. I was able to listen to noble products and so far the sage is the smoothest of them all with liquid mids. Though sub bass presentation is just close to NP. If the Oriveti is too bright for you, I’m at a loss. It’s one of the warmest IEMs I’ve found. I can’t say changing a cable will make enough of a difference. You may just be screwed. lol. I suggest giving your ears (and brain) a week to adjust to the sound. See if you don’t grow to like it. That is a common thing I’ve had to do from time to time. Ive been usiing this for like 2 to 3 weeks now. Burnt this iem for like 178 hours now. When singers getting on the high notes, its like something is piercing through my eardrums. Maybe I just need to get used to it. I also noticed when trying the ares 2 it is so smooth. Maybe I am treble sensitive, maybe. Stinkyflowers strikes again – thinking cables have a sound. You’re confused. It’s not that cables have a sound per say. They merely effect the sound. All of them do. It’s physically impossible for them not to, for they stand between the source and the monitor. And humanity has yet to discover a perfect conductor. While it may not be technically accurate to say a cable sounds this way or that, it is useful on a practical level, since it conveys an honest point. Nice review, I was waiting for it. My Yamaha eph-100 are dying and need a replacement. Had the FLC8S and lost them. I found them not ideal, missed the fun of the Yamaha’s and could not get a the right fit for sufficient bass. The NP has drawn my attention, would this be a good replacement for the eph-100, or go for another set of FLC8S with different tips for a better fit. Any other sub $500 suggestions? My dap is a FIIO X5II, 100% FLAC, 5% highres. I just got the FLC8s in for review. Performance wise, I may put it a little over New Primacy in terms of clarity and detail. But you are right, the bass is not as full. Still quite satisfying, though. With the Black, Red, and Gunmetal filters, and JVC Spiral Dot tips, I find it wonderfully warm and musical. Thanks, I used red/black/gold as setup with the supplied tips. I read that taking out the black plug and leaving this hole empty would produce a little more bass. Have you tried this? Or can you try this for me? I was looking at the spiral dot tips but hvent tested them myself, so this sounds tempting. I totally understand you on the NPs. I was also demoing Campfire’s lineup next to the NPs and I only found the Andromeda to truly “upgrade” the NPs to the next level, a level where my ears were hearing all they could hear. But proportionally the “upgrade” felt pretty marginal, close to the 10-15% for about 3 times the price. I settled for NPs ???? The only difference is detail retrieval and seperation IMO. but the mids somehow, is distant not intimate for me.. I end up selling my NP. Atleast I have narrowed down what I really like. Forward mids and transparency hehe.. I am thinking of getting the qdc 5sh. Empire Ears Spartan might also be for you, Steve. how did you read me? haha nice guess! I am going to listen to that 2 weeks from now and the QDC 4SS and 5SH. I have auditioned CA Andromeda and yes, it is just 10-15% more what the new primacy is giving, better seperation, clarity and somehow transparency increased but not drastically in my ears. BTW I am going to go with Universal as I like the thought of others be able to listen to my gears. Your awesome as always, Thank you for your quick reply. Sage will be the same price as their new product, but I am still waiting for it to be released. I just got an email from them and it will definitely be available in December for $600.00. Great review! I am really excited for their new product in December because of their success releasing the New Primacy. Question for you is, do you think Noble Sage can also be an upgrade to this? Should I get the Ares 2 or Eros 2 or should I just go with Affinity for this IEM? My M3s will arrive next week and I am looking forward buying this instead of the Sage but I think before going with the Sage, I might wait until December for their new product to be available in the Market. I would indeed consider Sage an upgrade to this. I thought about adding it in the comparisons section, but decided to stick with all hybrids. Sage is clearer, and with a bigger soundstage. Higher resolution also. And even though Sage doesn’t have a dynamic driver for its bass, it does some awesome stuff of its own, and I feel the low-end comes very close. Personally, I’d recommend the Ares II over the Affinity. It does an even better job of bringing out the treble in very warm IEMs. I don’t have the Eros II for comparison, sorry. Lucky for you two, I have all of those cables! It depends on what type of sound you’re striving for, I actually think the Affinity finds better synergy than the ARES II since it aids separation and bass depth more though it isn’t as open within the higher registers. The EROS II is the most balanced sounding cable, I’ve found it to be more versatile than the ARES II though if you want a slightly brighter sound, the ARES will indeed provide that. The EROS II has the greatest resolution to my ear, it’s my preferred pairing, albeit a pricey one, since it doesn’t alter the tonality too much but really brings out the technicality the NP is capable of. Wow nice! I am thinking of thor 2 as well in December but probably I will go with eros 2. 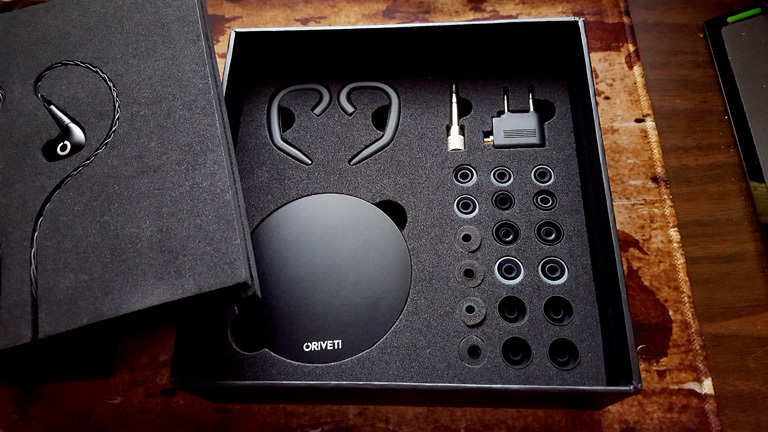 I am still waiting for the new product of oriveti and I have a high hopes expectation to it and faith that it will even blow iems under sub $1000 (I Hope).